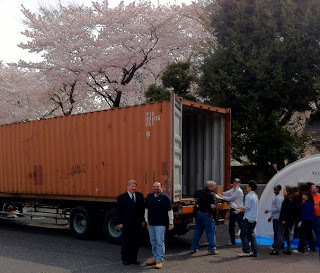 Today a container of relief supplies from Convoy of Hope was delivered and unloaded at the Central Bible School campus and placed in storage tents. 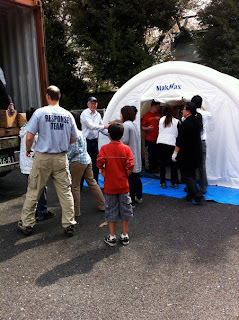 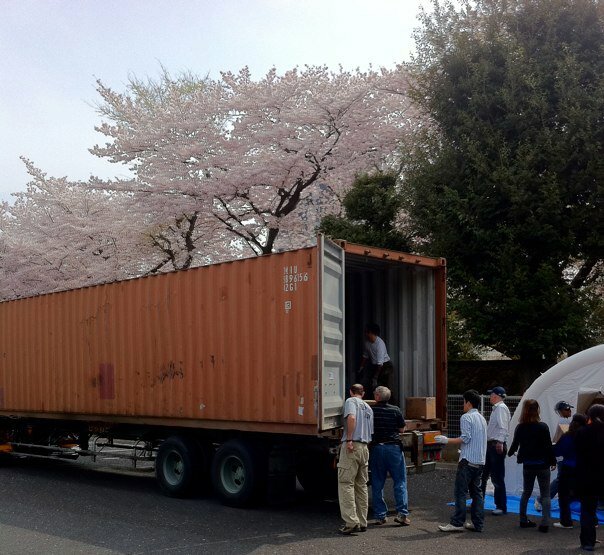 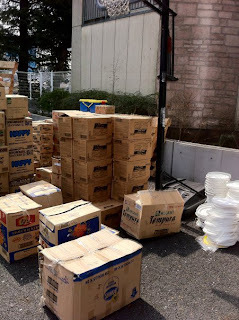 Many came from various churches in the Tokyo area and helped to unload and sort the supplies. 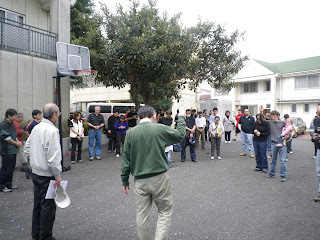 Hal Donaldson, president of Convoy of Hope, and other Convoy of Hope workers arrived in the country to meet with A/G missionaries and the Japan Assemblies of God officials. 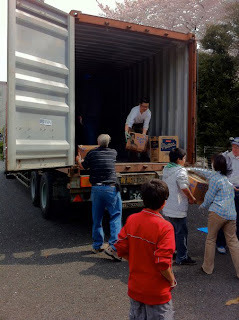 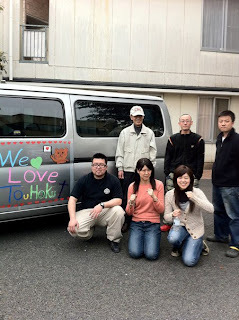 Central Bible School students left after unloading to distribute relief supplies in the Tohoku area.